Seconds is widely recognized as the best interval timer for HIIT & Tabata training for mobile devices. As well as being featured by Apple, it is recommended by celebrity and personal trainers to their clients all around the globe. • Export and import. Share the Tabata timers with friends or download them from the web and install them in Seconds. 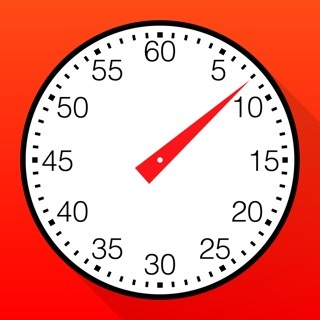 • Stopwatch that works in landscape and portrait, highlights best and worst lap times and syncs with Apple Watch. • A quick access countdown timer with 5 preset durations (only first 3 on Apple Watch). Upgraded users may configure their own preset durations. Countdown syncs with Apple Watch. I’ve been using this app for a few months now. It’s everything I could imagine needing in a fitness timer app. It is so versatile and so easy to customize. I’ve saved about a dozen of my own routines and it only takes a moment to program a workout found in a magazine or online. And once it is programmed, it’s there forever, whenever you need it. And with the sync feature, you can have it on all devices. I’ve even shared them with friends who have the app using the export feature. Save your routines to a folder... or two... multiple versions even... It’s up to you. I make full workouts for my normal routine and abbreviated versions for when I’m pressed for time. Have now realized that the app also easily connects to a basic Polar heart rate monitor. Add this to the total flexibility of the display layout, I now have the perfect device for interval training on my Nordic Trac. The electronics on my NT, which is over 20 years old, died many years ago, but Seconds Pro is obviously even better. I've been using the free version for several years for everything from timing stretch routines to timing steaks on the grill. I never thought I needed the pro version. Recently I thought I had identified a bug so I sent the developer an email, what did I have to lose. Not only did I get a personalized response confirming that the latest iOS version was causing a problem, but they also invited me to be a beta tester of the corrected Pro version. Even the free version has so much flexibility and functionality available as far a setting up various routines, all of which you can use without looking at the app, as the text to voice capability is excellent. I'm now ready to set up and refine all of my routines, which because I have the Pro version I can now save. Like I said I've use the free version for years, but if you use a timer regularly, I highly recommend forking out the money for the paid pro version. You will be glad you did. 1. I will create a timer for a class the morning before and when I go to use it later, it will often have reverted to an earlier version or completely deleted itself and I have no idea why that is happening. There isn't a (save) button so I just assumed that it live saves as I work on the timer, but it seems really spotty as far as what will actually be saved. 2. The very first time I used the "compound timer" and created sub timers, the program for some reason saved those timers and now any time I try and create the same kind of timer it auto populated with the settings from those first timers and I now have to completely delete out those timers before I can start with my new one. Maybe I have a setting wrong? But this creates tons of issues if I'm not super careful and change over all of the settings.